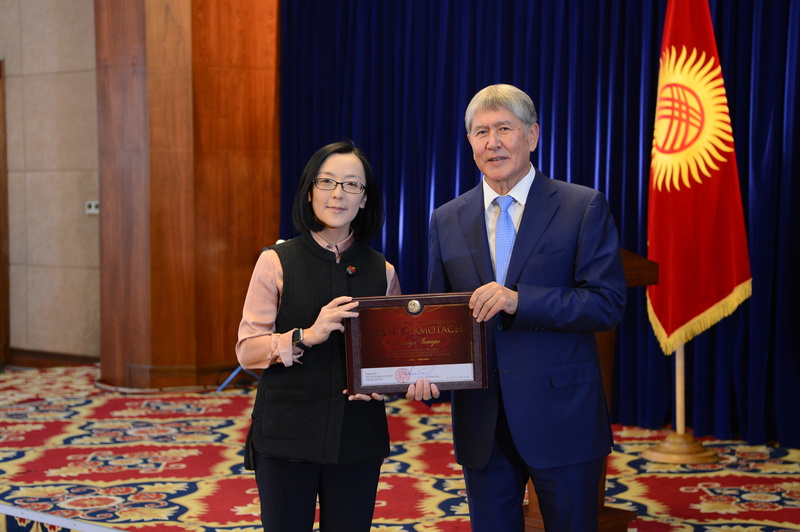 After completing her IUJ studies, Chinara returned home to contribute to the peace and development of her country, Kyrgyzstan. In February 2014 she received a PhD from the Political Science Program of Kyrgyz National University, where along with her research, she taught in the Department of International Relations from 2007 until 2016. From 2012 until 2015 she also worked for the National Institute of Strategic Studies of the Kyrgyz Republic as a deputy director and was involved in design, implementation and management of research projects to form government policies and decisions on security and foreign policy issues. In 2016, she joined the PeaceNexus Foundation as Regional Adviser for Central Asia and Country Manager for Kyrgyzstan to support peacebuilding activities of various partners including government agencies, UN, NGOs and the private sector. And in November 2017 she was awarded a state award “the Certificate of Recognition,” awarded by the President of the Kyrgyz Republic for her work and contribution to the peacebuilding and state-building in the Kyrgyz Republic (photo).